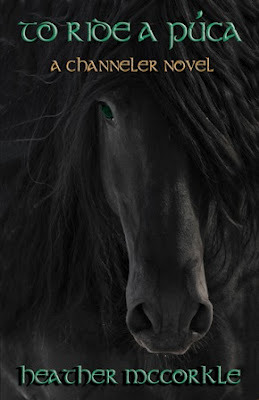 Today I’m excited to interview Heather McCorkle about TO RIDE A PUCA that was released on May 21, 2012. One of the reasons I’m excited about Heather’s book is that it deals with Druids, which I’ve been interested in but don’t know anything about. And I really liked Neala, a fiercely independent girl in a time where women weren’t very independent, learning about her powers and her place in the world. Hi Heather. Thanks so much for joining us. 1. Tell us a little bit about yourself and how you became a writer. I love fantasy, sci-fi, paranormal, pretty much anything out of the ordinary. I’ve been writing since I was twelve. I began writing because I didn’t like the way stories ended. Silly, I know, but hey, I was twelve! LOL! 2. Sounds like we have similar reading tastes. For those of us who haven’t read anything else in the Channeler series, tell us about it. The channeler series is about a half-Mayan, half-Irish teen girl who discovers she has the ability to use energy like a physical force to either heal or fight. She also finds out that her grandfather believes she is a warrior of legend destined to fight in the last battle for the Earth. 3. One of the things I loved about this book is that it’s about Druids. Please share about your research process and share some of your research links or books that some of us might want to check out. Me too! Druids have always fascinated me. The Irish Times was a site I frequented to get immersed in the current culture. Roots Web, Ireland’s History In Maps was priceless to me. And of course there was Google searches backed up by library references and many great books. 4. Thanks for sharing the links. I'll have to check them out. How did you develop Neala as a character and do you see yourself in her at all? She came to me fully formed, attitude and all. It was almost like meeting an old friend, one that hounded me to tell her story. I’m not one to put myself in my characters consciously but I have no doubt that little bits of me and my experiences find their way into Neala. My process begins with research on how things were at the time and in the location the story takes place. Dress, food, culture, traditions, it’s all based off history and becomes a part of the world. The dialect is taken from bits of the modern dialect and bits of what is known throughout history to have been used in the area. 6. That's awesome that you stayed true to the times. You chose the independently publishing route. What led you to that decision? What should authors thinking of this option consider and do you have any resources you recommend they check out? Despite my beta readers pushing me to go big with this one, I decided to publish with my own press. The creative control of going indie is worth the work. Plus, I figured, it wouldn’t be right if I didn’t support my own press by publishing with them! Authors who are considering going indie need to approach it carefully, like a business that they are willing to put 110% of themselves into. I highly recommend hiring a freelance editor, a cover designer, and even an interior designer if one isn’t technically talented. Then be ready to market your pants off. 7. That's great advice to hire people to help make the book polished in the areas you don't have the expertise to do well. Since you’ve published several books, you must have an idea what works and doesn’t work in spreading the word about your books. Share some of your advice on marketing a book. Marketing is a fickle thing. What works for one may not work for another. That said, having a good, consistent web presence if vital. Find what your good at and do it, be that Facebook, blogging, Twitter, or a mixture of social networks. Establish real friendships, do for others, and never spam. 8. I've seen how well you use your blogger friend connections to help shout out about your books. I saw in your bio that you also design book covers for Compass Press, the publisher of your books. Tell us about the process of designing covers. Did you design any of your covers? Designing covers is my second biggest love, next to writing of course. The creative process and challenge of making something original and fantastic is inspiring. I design all of Compass Press’s covers. 9. That's so cool that you're talented in designing book covers too. What are you working on now? I’m finishing up the last novel in the channeler series, Rise of a Rector which is due out in September and I’m working on a short story that will be featured in Compass Press’s first anthology alongside some outstanding authors, Winter Wonders, due out this December. Thanks for all your advice Heather. You can find Heather at her blog, on Goodreads, Twitter, and Facebook. Heather has generously offered a copy of TO RIDE A PUCA for a giveaway. All you need to do is be a follower (just click the follow button if you’re not a follower) and leave a comment by midnight on July 14th. I’ll announce the winner on July 16th. If your e-mail is not on Blogger, please list it in your comment. International entries are welcome. 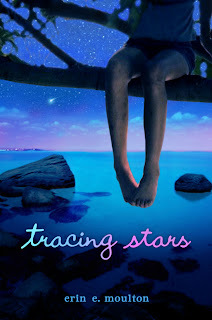 On Friday, I have a guest post scheduled with Erin Moulton and a giveaway of TRACING STARS, a summer middle grade tale. Next Monday, I'm interviewing Carolyn Turgeon and giving away a copy of THE NEXT FULL MOON, a fairy tale retelling of a girl who grows wings. 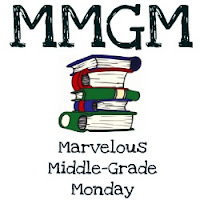 The following Monday I'm interviewing Lenny Lee, an amazing middle grader, for my ASK THE EXPERT series and sharing and giving away UNRAVELING and THE SELECTION. Then Wednesday that week I'm interviewing Leigh Bardugo and giving away a copy of her fantasy SHADOW AND BONE. I've heard such amazing things about her book. I just got my copy and can't wait to read it. Today's tip was sent in by Melanie Woods. You may remember Melanie from tip #127 where she had us consider what might be on our main character's camera. Here's her newest suggestion! Currently, there are few YA books with male MCs written by male authors. The majority of YA “boy books” are written by women, and sometimes the voice just doesn’t sound male. It’s easy to read an article or two before your BIC time. Hope you are all enjoying summer. We've just had our first week since school got out. But with a swimmer, I we still have to get up at 6:00 am because she has to be at the pool at 7:15 for two hours of practice. And she's just started driver's ed. (Can't believe she's growing up so fast.) Still, it's so nice having more family time and not being so busy. Before I share Karen's awesome interview, I have a number of winners to announce. Congrats to all the winners. E-mail me your addresses so I can send you your book. 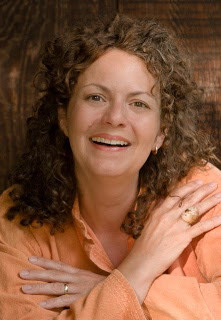 Today I’m excited to interview Karen Schreck whose new book WHILE HE WAS AWAY was released on May 1, 2012. I was especially interested in sharing this book with you because it deals with a long distance relationship when Pena’s boyfriend goes to war in Iraq. This is such a timely topic given our world today. I was an only child. You know that cliché about books being best friends? Well, that was true in my life. I wrote my first story in an orange notebook (just like Harriet the Spy’s), when I was nine. (I still have it. It features a unicorn.) I had a wonderful high school English teacher who further inspired my love of reading and writing, and by the end of college, I knew that I wanted to this work seriously. I wouldn’t give up, I decided. I got my MA and doctorate in Creative Writing . . . but this by know means makes or breaks a writer. I just kept on doing it even when I wasn’t getting published, kept on trying to learn more and more from day to day, kept reading like a writer. I did my best to keep my desire alive, in other words, nd to be disciplined to the best of my ability, while also maintaining “paying work, and loving my children and my husband. Like so many good thing, writing is a choice an individual has to make. I just kept making that choice. 2. I didn't have many friends as a kid so I can totally relate to books being your friends. I’ve read you did a lot of research on the military and serving in Iraq for this book. Tell us about the research you did and share tips on connecting with the right research sources when doing a book like this. Over the years that I wrote WHILE HE WAS AWAY, I interviewed soldiers and vets who were serving or served in Iraq. I interviewed girlfriends and their wives. I interviewed Gold Star Wives through email—these women who’d suffered so much loss were incredibly generous with me. I reflected deeply on the war stories that I’d heard from both my mother and my father—what I knew and what I didn’t know, and what I still wanted to know, based on what they’d shared about their experiences. (My father served in multiple theaters of WWII; my mother’s first husband was killed in WWII.) I read books and blogs and watched every movie about Iraq I could find. I learned more about war than I’d EVER imagined I would learn. And I have to say, I was changed by the experience. That’s what writing should do for a writer, I guess. 3. Wow! You were really dedicated to being sure your story is accurate. Your book involves heart wrenching issues. Pena has to deal with saying goodbye to her boyfriend David for a year while he goes to Iraq. And then they have to try to maintain their relationships long distance. What were some of the challenges in really showing us some of the emotions these characters go through? I think long distance love can be very challenging—and when people are communicating across “continents and the oceans in between” (as I write in the book) it can be an act of great service just to keep the lines of communications open and intact. Especially since the lines of communication are so frequently thwarted by powers beyond anyone’s control. In this day and age, we feel we have such easy access to communication—we’re right at each other’s fingertips. People who are in situations like Penna’s and David’s can’t take that communication for granted. I guess another way to say this is: communication is hard in any relationship. I wanted to explore this fact, and Penna and David’s situation threw it into dramatic relief. Another challenge I faced in dealing with Penna and David’s emotions had to do with time. I wanted to communicate the sense that time is relative: weeks can go by in a blur when a person (like Penna or David) is undergoing great stress or is emotionally distraught. At the same time, a single day can hold the complexity of a year of real time. 4. I think the fact that David is stationed across the world definitely adds a layer of challenges to those of being in a long distance relationship. Besides the issues of staying in contact, neither of them had the freedom to jump on a plane to see each other. Pena finds ways to cope with her situation, including discovering the mystery surrounding a grandmother she never knew about. Tell us a bit about Pena’s coping mechanisms and why you chose the subplot about her grandmother. It’s been my experience (firsthand and from observation) that love can sometimes feel all-consuming. Also I think that’s how many people in our culture (perhaps especially girls) have been trained to think it should be. Just listen to much of the music on the radio; watch most of the popular movies. While that romantic idea has much appeal, I also think it’s profoundly important that people in life and characters in book develop other passions and interests. We’d all be pretty one-dimensional if we didn’t. So though I believe in the depth and purpose of the love between Penna and David, I also felt like for everyone’s sake, Penna and David BOTH needed to find other means of support. Penna copes by searching for her grandmother, getting interested in her job, making art, finding some new friends, and deepening her relationship with her mom. David copes by making art, engaging in his difficult experience, and dedicating himself to the work at the orphanage—seeing the humanity behind the people in Iraq. These developments in the characters’ lives occur because of their painful separation—but I think they are probably better people for expanding their lives, opening themselves up to other experiences of truth and beauty. In terms of Penna’s search for Justine: I wanted to explore the way the connections between generations can be severed and recreated. It’s all about forgiveness and healing for me; it’s about the possibility of reunion—even if the reunion is less than perfect, less than easy. Maybe especially then. I’ve seen estrangement and reconnection in my own extended family—the leave-taking, the coming home again. Often this has occurred because of some superficial understanding of the differences between generations and eras. Writing this book, I really came to believe that those differences (as represented by three different wars) are not as profound as we sometimes assume they are. We are more alike across the years than we often assume. 5. This is not your first book. You last book DREAM JOURNAL was published in 2006. Tell us about your publication experiences and how you continued to write during this period when you didn’t have any books being released. Do you have any tips for the rest of us? The initial draft of WHILE HE WAS AWAY was proceeded by a few fiction manuscripts that simply would not evolve as I hoped they would. I’ve still got those drafts though. I try to keep a version of everything into which I’ve invested time and energy; you never know when you might want to resurrect what seemed to be dross and turn it into gold. I really believe that everything feeds the fire—so those attempts, and all the many drafts of WHILE HE WAS AWAY that I needed to move through before I finally wrote the draft that my editor at Sourcebooks Fire, Leah Hultenschmidt, chose to option, kept not only my writing life alive, but laid the necessary, stabilizing material on which to finally build a book. I’m typically not a fast writer, so I hold on to the fact that history is filled with stories of writers and other workers who do their time, pay their dues, keep on keeping on. Sure, there are those who publish quickly—and more power to them. But there are many who process and produce their work at a very different pace. I have to make peace with my pace, and the timing of things (over which we can only have so much control), because I have to keep writing. Writing is part of me, of how I make meaning, whether I’m actively publishing or not. 6. I'm glad to know that I'm not the only one who doesn't produce their work quickly. What are you doing to market your book? Since your book deals with military life, are there any special markets that you’re trying to tap into? 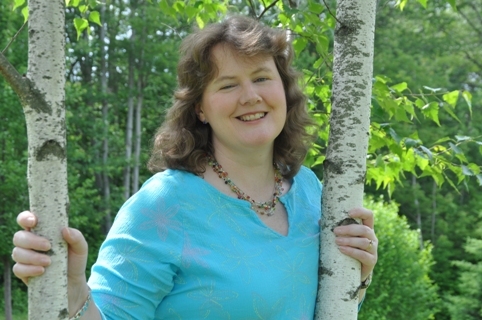 I feel blessed to have a wonderful publicist at Sourcebooks Fire, Derry Wilkins, who has done a marvelous job of connecting me with reviewers and bloggers. I’ve LOVE these online blog interviews, and the opportunity to be so graciously hosted by others in the vreading and writing community has been one of the best parts of this publishing experience. So . . . I’ve tried to blog as much as possible, and to share that information through other social media avenues. I’ve also been to a few conferences, done a few signings—I was thrilled to sign at two of Oklahoma’s best independent bookstore: Best of Books and Full Circle Books. I had my first (live!) TV interview in Oklahoma . . . I learned a lot from that experience about how to be in front of a camera, how to breathe and relax, and how to let my belief in story-telling carry me (versus any concern about how I might be perceived). 7. That's awesome that you've really connected with the blogging community and your own community. What are you working on now? I have three projects that I’m happily moving between: I’m going to present another YA manuscript to Sourcebooks Fire, with hopes that they’ll like (they’ve expressed interest in the idea, which involves a teen with PTSD). I’m also collaborating on a time travel series for elementary school kids with my good friend, the writer Carmela Martino (collaboration is a blast for me as a writer—writing can be a lonely venture, and it’s so nice to share the experience with someone I respect and enjoy). And I’m working on a historical novel for adults. All very meaningful and rewarding and just plain fun. Oh . . . and lots of people have been asking for a sequel to WHILE HE WAS AWAY, so that’s brewing too! Sounds like you've got a lot going on. Thanks Karen for sharing your advice. 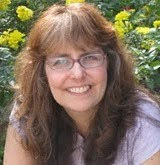 You can find Karen at her website and her blog. Karen generously offered a signed ARC of WHILE HE WAS AWAY for a giveaway. All you need to do is be a follower (just click the follow button if you’re not a follower) and leave a comment by midnight on July 14th. I’ll announce the winner on July 16th. If your e-mail is not on Blogger, please list it in your comment. International entries are welcome. Here's what's coming up. On Wednesday I'm interviewing Heather McCorkle and giving away a copy of her new book TO RIDE A PUCA. I was especially interested in this because it deals with Druids, something I'm really interested in, but don't read much about. Next Monday, I'm interviewing Carolyn Turgeon and giving away a copy of THE NEXT FULL MOON, a fairy tale retelling of a girl who grows wings. 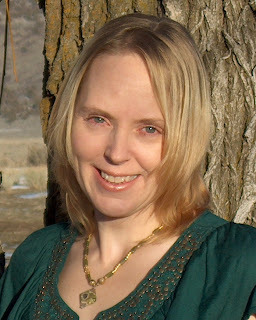 Carolyn is an established adult/YA crossover author and she has lots of great advice to share. This week's Agent Spotlight features Sean McCarthy of Sean McCarthy Literary Agency. About: “Sean McCarthy began his publishing career as an editorial intern at Overlook Press and then moved over to the Sheldon Fogelman Agency. He worked as the submissions coordinator and permissions manager before becoming a full-time literary agent. Sean graduated from Macalester College with a degree in English-Creative Writing, and is grateful that he no longer has to spend his winters in Minnesota. Children’s picture books through young adult, illustrators. “I work on all genres within children's books, from picture books to middle grade to young adult (and anything in between). I also work with illustrators, although it's gotten much harder to find work if you're not an author-slash-illustrator, unfair as that may be. There is a page of recent titles on the agency website. Mr. McCarthy’s clients include: Mark Fearing, Hillary Homzie, Zachariah O’Hora, Jamie Swenson, Hyewon Yum, among others. “Please include a brief description of your book, your biography, and any literary or relevant professional credits in your query letter. “If you are a novelist: Please submit the first three chapters of your manuscript (or roughly 25 pages) and a one page synopsis in the body of the email or as a Word or PDF attachment. “If you are a picture book author: Please submit the complete text of your manuscript. We are not currently accepting picture book manuscripts over 1,000 words. 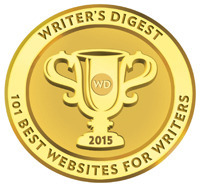 See the Sean McCarthy Literary Agency website for complete, up-to-date submissions guidelines. The agency’s stated response time is four weeks. Stats on the web are limited but show Mr. McCarthy responding to most queries within 1-6 weeks and requested material within 1-3 months. Sean McCarthy founded the Sean McCarthy Literary Agency in November of 2013 after seven years with the Sheldon Fogelman Agency. The agency specializes in all genres and age ranges of children’s literature. Interview with an Agent: Sean McCarthy at Mother. Write. (Repeat.) (08/2010). Agency not yet listed at P&E or AbsoluteWrite. Sean McCarthy, Assistant Agent at Kathleen Temean’s site (04/2009). Agent Chat with Sean McCarthy (notes) at Writing for Kids While Raising Them (12/2008). Please see the Sean McCarthy Literary Agency website for contact and query information. Last Reviewed By Agent? 11/11/13. I'm doing my first guest post at Stina Lindenblatt's Seeing Creative blog today. She's a regular follower of our blog and has a fantastic blog. 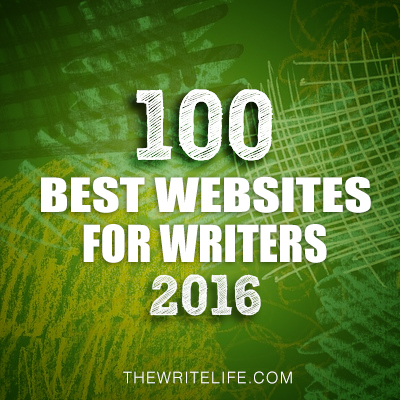 On Fridays, I always love seeing her links to interesting blog posts and she often shares her recommendations on books on the craft of writing. I'll be sharing tips on how to conduct a good interview. I hope you'll stop by and say hi. 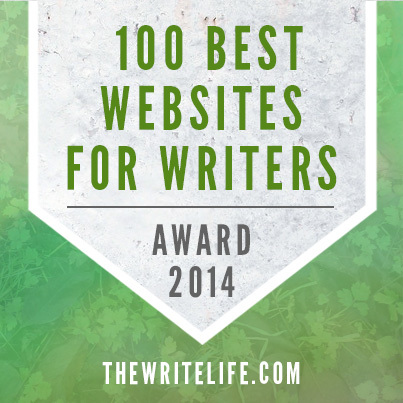 First I want to thank everyone who read my Never Surrender Blogfest post on Friday. It was something very personal I went through and I appreciate all the kind comments. 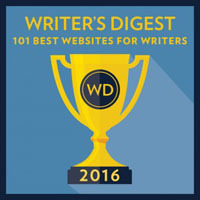 Today Casey's doing a guest post at Darcy Pattison's Fiction Notes today on Top Ten Tips on Getting An Agent. Go check it out here. It sounds fantastic and Darcy's blog is a great one to follow. This is Casey's first guest post and my first one is coming up on Wednesday. (Details at the end of the post.) How weird is that? Congrats! I've already contacted Julie. 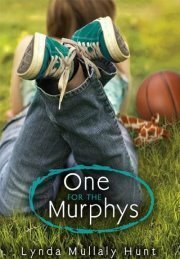 Today I’m excited to interview Lynda Mullaly Hunt about her debut book ONE FOR THE MURPHYS that was released May 10, 2012. I really enjoyed that this was a story about a kid in foster care. And I read it super fast—in one day. Hi Lynda. Thanks so much for joining us. Well, I became an author through my love of writing. As a kid, I wrote song lyrics more than I wrote stories, though. As a student at UConn, I took two classes that spurred me on; one was Children’s Literature Appreciation where I wrote my first story for children. The second was a high level writing class which was not required, but I took it anyway; I’d heard it was like a writing boot camp—and it was, but I learned a lot! As a teacher, I began writing for my students with the idea that if they could grade/correct me that they would dig deep in analyzing a writing piece--and they did! These exercises were when I really began to see how much I loved to write—even if I was intentionally writing flawed pieces. 2. I wish I would have taken some writing classes in college. One of the things I loved about ONE FOR THE MURPHYS is that Carley is in foster care. I don’t see many stories about nontraditional families and I’m drawn to those stories since my daughter is adopted. 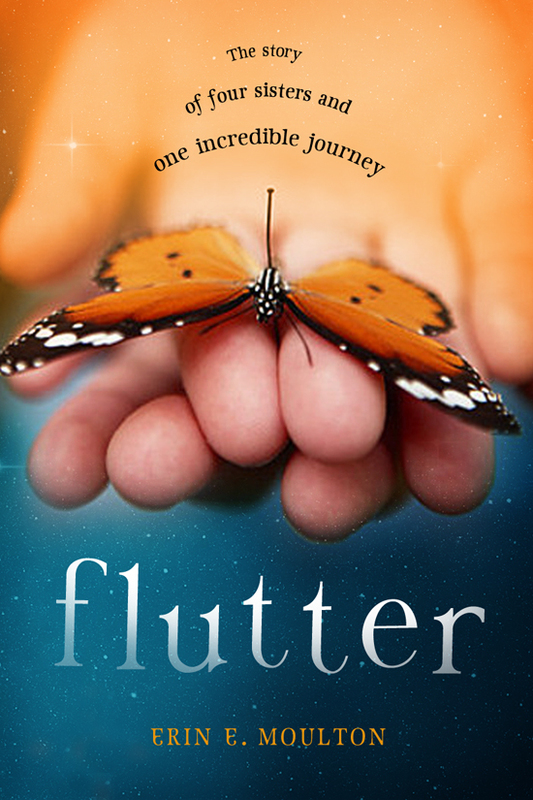 What made you decide to write a book about a girl in foster care? Funny the way my writing brain works! I never decided consciously to write about foster care. One day while rinsing a dish, this voice just rang in my head. I knew that she was in the hospital, confused, fatigued and upset. I also know that she was a foster child. Then, I went about researching the topic a bit and thinking a lot about the experience of being dropped into someone else’s family. I actually know what this is like, as I lived with another family for three months when I was young. It was a side of life I didn’t know existed and I left their home with a new vision for what my future could hold. That I would create that kind of family-oriented life for myself one day. However, in reference to crafting the book, one thing I did make a conscious decision about was that I would write a book about a positive foster experience. Although it was suggested by editors at conferences that an abusive family may be more interesting, I knew that One for the Murphys would never be a story like that. 3. I'm glad you kept it positive. Because it's like the importance of showing diverse races in MG and YA books. There are a lot of kids in different family situations and it's important that books kids read reflect these different family situations in positive ways. What research did you do to get Carley’s feelings about her home life and being in a foster home right? I don’t think you can really research feelings—at least I can’t. I drew upon experiences in my life when I may have felt similar to Carley in One for the Murphys and applied it to her circumstances. 4. Well I'm guessing it helped that you could rely on your own experiences. Those of us who don't have any experiences like that might need to read some books about that family situation to understand some of the feelings involved. One of the relationships I enjoyed watching grow was Carley’s relationship with Daniel. Tell us about how you developed the changes in their relationship and share any tips on how to do so realistically. Thanks, Natalie! Well, the one thing I knew about Daniel right away was that he did not want Carley in his house. It made him feel as if someone was on his turf. He worried about his mother loving someone else as much as him. 5. That was a great move to pick basketball as a way they could connect. Mrs. Murphy is a complex character too. Did you draw on your own life in developing her? At first, the character of Mrs. Murphy was based on a mentor friend of mine that took me under her wing when I was a young teacher. I learned much about her—about children and marriage and being a mother. In fact, I dedicated the book to her (and my hubby as well!). 6. Let’s more onto the business aspect of writing. Tell us about your road to publication and how Erin Murphy became your agent. Do you have any advice on the querying process? Well, when I was ready for an agent, I researched like a fiend. I made charts showing what they’d been selling, took tons of notes on piles of interviews, and also researched their clients. Then went about ranking the agents I wanted to query. Erin Murphy had my top spot. Thing was, Erin did not/does not accept queries unless you have a recommendation from one of her clients or have met her in person. I didn’t know her clients, but I did see that she would be at a group book signing in Vermont, so I drove five and a half hours to meet her. She agreed to let me send a query, then she asked for 50 pages and then she asked for the full. After reading the full, she asked to see excerpts of other things I’d written. After all of this, we had a phone conference. Finally she asked for some revisions on OFTM, which I happily (and nervously) did. Soon after, we signed together! 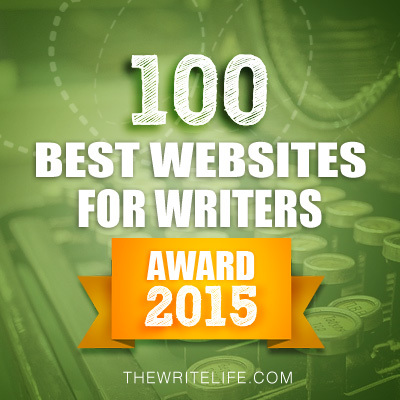 One of the best things I’ve done as a writer—on many levels. 7. Wow! That's total dedication to finding an agent to drive so far to meet her. I met Erin at a SCBWI conference once. I was really impressed by her. I’ve heard a lot of authors say marketing a middle grade book is harder than a YA book. Tell us about your marketing plan. Also I’ve seen that you’re being interviewed on a few of the mostly YA book reviews blogs like I Am A Reader Not A Writer. Share how you were able to reach out to those type of book review blogs and get them to agree to interview you. 8. That's great advice to do research on the bloggers you're reaching out too. No one's suggested that before. What are you working on now? Happily, I have a second novel entitled ALPHABET SOUP under contract with Nancy Paulsen Books (Penguin). I couldn’t be happier to be working with my publisher and editor on another book! Thanks Lynda for sharing your advice. 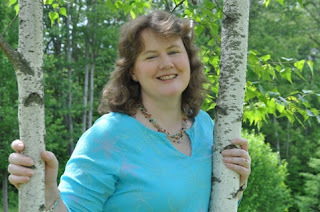 You can find Lynda at her Website, Blog, and Twitter@Lynmullalyhunt. Lynda generously offered an ARC for a giveaway. All you need to do is be a follower (just click the follow button if you’re not a follower) and leave a comment by midnight on June 30th. I’ll announce the winner on July 2nd. If your e-mail is not on Blogger, please list it in your comment. International entries are welcome. Here's what's coming up. On Wednesday, I'm doing a guest post at Seeing Creative with advice on how to conduct a good interview. I'll post a reminder on Wednesday about this. On Friday, we have a guest post by Luke Reynolds. He's interviewing agent Ammi-Joan Paquette. Can't wait to read the interview. On Monday I'm interviewing Karen Halvorsen Schreck about her newly released YA book WHILE HE WAS AWAY. And don't forget our Tuesday Tips and Casey's agent spotlights on Thursday.